﻿ This Hawaii Aquarium Ban Doesn't Affect Me! Think the looming threat of a permanent end to Hawaii’s marine aquarium fishery just isn’t cause for concern? PIJAC’s VP of Government Affairs cautions complacent aquarists and urges them to consider the consequences of inaction. Debate on the future of (or rather attempts to end the future of) Hawaii’s marine aquarium fishery are ongoing, as opposing sides debate the newest Hawaii aquarium fishery ban bill, Hawaii state Senate Bill SB2003. 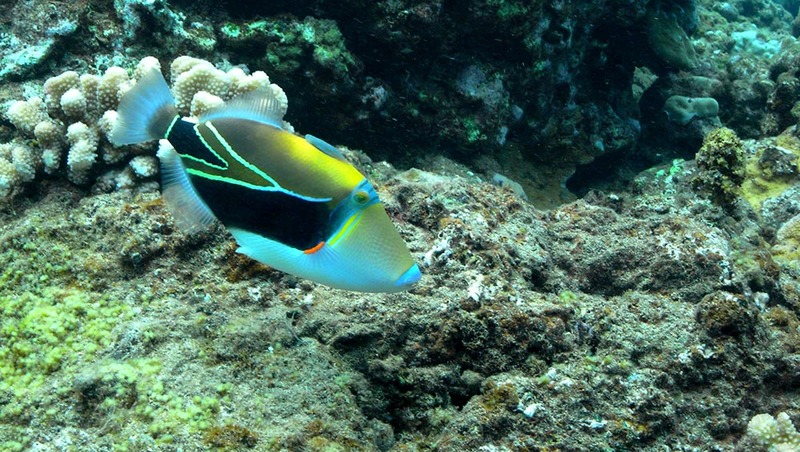 Involved observers say the loss of the Hawaii fishery would affect the entire marine aquarium hobby and trade, and concerned aquarists are being asked to provide comments. 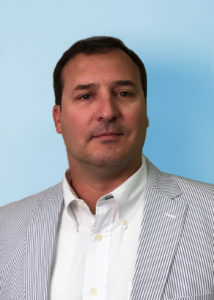 Robert Likins III, Vice President of Government Affairs for the Pet Industry Joint Advisory Council (PIJAC), didn’t sugar-coat the situation for the saltwater aquarium hobbyist and aquarium industry when addressing the unconcerned sentiments publicly expressed by some; he urges all aquarists to become more engaged in defending their hobby, otherwise risking its ultimate demise. “If you think that you are safe or that this doesn’t affect you, you’re wrong,” opened Likins. “Not only would [the permanent closure of Hawaii’s marine aquarium fishery] drive prices up for other fish, but if activists can succeed in shutting down what is arguably the best-managed nearshore fishery in the world based entirely on emotional arguments, and in the face of good science, then no fishery is safe. Captive breeding, despite the money being invested by the industry, cannot begin to meet the current demand for aquarium fish, even for those species that can be bred successfully. “The people pushing [to end Hawaii’s aquarium fishery] are well coordinated, well funded, and copy their successes elsewhere. You never see anything about solutions because those opposed to the [aquarium] trade don’t want solutions, and they are the ones with the resources to constantly advance legislation. They don’t believe that fish belong in “glass prisons”, and will push for any restriction that they can get. You should prepare to see language like that which is currently being implemented in India coming to a jurisdiction near you soon: for example see MoEF floats new rules for breeding, selling aquarium fish (2010) and India Ornamental Aquatic Sector in Crisis (2017). “We have already had to fight legislation in the US that would have required each fish to be shipped in five gallons of water making shipment prohibitively expensive and that each fish would have to be fed immediately before shipment which would cause water fouling and dramatically increase mortality. Either the trade and hobby begin to defend themselves or there will be no trade to defend. Brush up on the science and the data, and then read the PIJAC PET ALERT with instructions on how to comment. Already know what you want to say? Comment on SB2003 here. This issue won’t go away with one simple online comment. Subscribe to the CORAL Newsletter, and follow us on Facebook and Twitter to stay in the loop. Consider a donation in support of PIJAC’s Aquatic Defense Fund, which supports efforts like the ones describe above by Linkins. So what are the odds of a fish’s survival in the wild? Atleast in my aquarium, they have a guarenteed meal everyday and are safe from preditors. I would think that is a much safer life. I get where you’re coming from with your reasoning behind your argument, but it’s quite self righteous to suggest that we are doing wild animals a favor by removing them from their natural habitats and introducing them to a confined space. Just because we can provide water and food for them and they may experience less predation, does not mean that these animals would prefer the captive life to the lives they evolved to live. The aquarium trade has very little to do with the demise of fish on the reefs, the real problems are, water pollution, over fishing for food fish, a lot of aquarium fish as used for food, and destruction of the reefs. There are many more reasons but these are some of the main ones. The old argument used to be..marine fishes die within 12 months in captivity. I have a fire clown 14 years plus Aurippinis Damsels 5 years in one of my aquaria…would they have lived this long on the reef probably not. I think fishing for the trade should be done responsibly, not over fishing and letting species become extinct or even endangered. Keeping the reefs healthy will help sustain the fish, thus helping the industry and overall wellbeing and health of its inhabitants. The required EAS that the superior court has required. Please continue to support us here in Hawaii any way you can. Becky, I get where you're coming from with your reasoning behind your argument, but it's quite self righteous to suggest that we are doing wild animals a favor by removing them from their natural habitats and introducing them to a confined space. Just because we can provide water and food for them and they may experience less predation, does not mean that these animals would prefer the captive life to the lives they evolved to live.